Challenge minds and hearts to make amazing things happen! 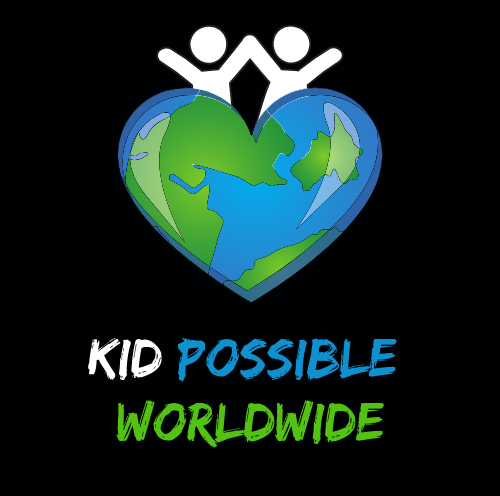 Kid Possible Worldwide is changing lives daily and the more we get the word out about the amazing work being done the more we can inspire others to join in and impact more! Kid Possible Worldwide takes golden nuggets others need to learn and combines them into positive projects to give back and is what makes Kid Possible Worldwide one of a kind! We would love to connect with you so please reach out. When we all do a little we can change a lot! U.S. Navy Veteran, Certified Teacher, School and Family Counselor, Motivational Speaker and Philanthropic Leader earning the nickname Kim Possible for making amazing thing happen others thought was impossible! She is known inspiring individuals of all ages to have fun while making a positive difference for others! 10 year old Author, Motivational Speaker and 2nd Place 4th Grade Basketball Champion! His chapter book is titled “One Person Can Make a Difference and Everyone Should Try!” Jaiden hopes to inspire others by sharing his story of leading over 200 projects giving back all over Illinois and even overseas in Puerto Rico. He shows that no matter your age or size, one person can make a difference! He includes quotes from amazing role models like Ellen DeGeneres, Barack Obama, Stephen Curry, Michael Jordan, Oprah Winfrey, Tony Robbins and more! His inspirational chapter book makes him the youngest chapter book author in the United States! Certified Google Ads & Paid Search Advertising Specialist. I truly enjoy digging deep into the digital world. I am the Founder & Chief Visionary Officer of Legendary Mindz, which is the global leading platform that produces the best content in the world to enhance people in their Mind, Body, and Soul. Each one, Teach one, to Love one is the mission. My goal is to pass down the knowledge, wisdom & understanding to the future generations of the world. This is my life’s purpose which is why I desire to develop my character and lead by example daily. Therefore, I fully support and encourage the movement of KPW (Kid Possible Worldwide). I’m committed to taking on all things digital as the Director of Digital Marketing for KPW! Director of Basketball Events, “TJ” Griffin Jr.
Not your average teenager, TJ realized at a young age his athletic ability, passion and love for the game of basketball. He has traveled the U.S. to play against top athletes before he even started High School. He enjoys sharing what he learns from other elite coaches to challenge the minds and hearts of kids on and off the court. He understands what it means to be a student athlete and shares his story and skills with others to improve their basketball game and make the most of their experiences along the way! The big day is coming help us bring lots of smiles to this Army hero Harold's for his 100th Birthday!